The new owners of this historic home spared nothing as their dreams for a perfect renovation unfolded. 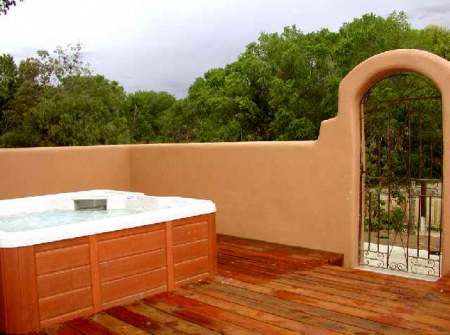 Extreme detail was given to every aspect of renovation as these outstanding Taos vacation rentals were in creation. Now, available to Premiere's discriminating guests as of March, 2007. Casa Artesia - Apartment Suite -, perfectly located as the nearest neighbor to the nationally renowned Harwood Museum offering workshops and exhibits on a "World Class" scale, available for last minute lodging for 2 to 4 guests. 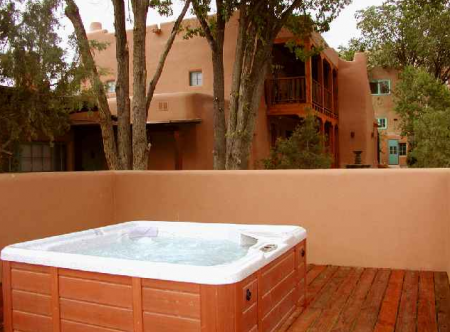 Inspite of Casa Artesia - Apartment Suite's central location the tranquil setting is unsurpassed as one of our in-town Taos vacation rental homes. Overlooking the park-like grounds of the "now gone" historic fish hatchery guests will experience in town peace and quiet as they gaze from the second story balcony to a southern mountain view. 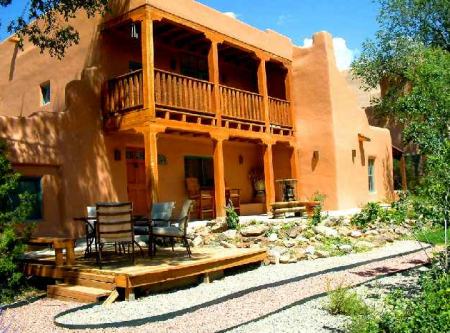 Take a three minute walk to the Taos Plaza for abundant shopping, dining, and historic sight seeing or walk up neighboring Ledoux street to peek in at various galleries and artist studios. 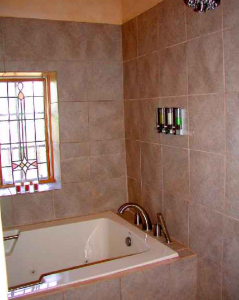 This luxury apartment suite (second floor) has one very upscale King bedroom,/1 bathroom + living room with kitchenet and 2 child portable foam futons. 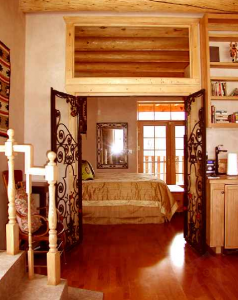 800 square feet Sleeps 2 adults and 2 children max. 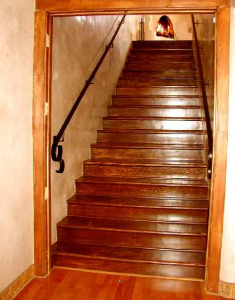 For clarity, the home is divided into 3 suites all sharing a common foyer with 4 doors. The entry door and a door to each of the 3 suites. 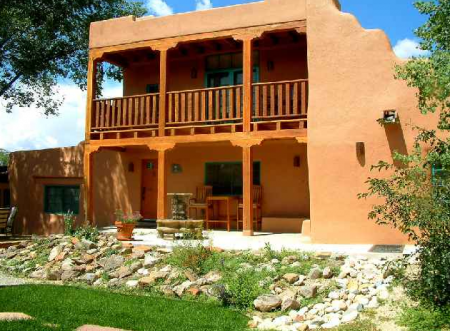 Featured on the Taos Home and Garden Tour 2012 and stated on the placard: "A spacious home built in the 1880's and remodeled by owners into 3 elegantly appointed vacation rentals is managed by Premiere Properties Vacation Rentals, LLC. The west wing and oldest portion of the building was originally a grainery built in the 1860's. Former residents have included artists Agnes Martin and Ted Agri as well as a toymaker. 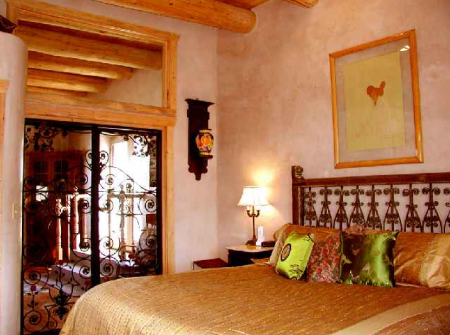 The 3 foot thick adobe walls, 5 kiva fire places and first floor vigas are original to the building. The naturalized garden includes antique iris over 100 years old. 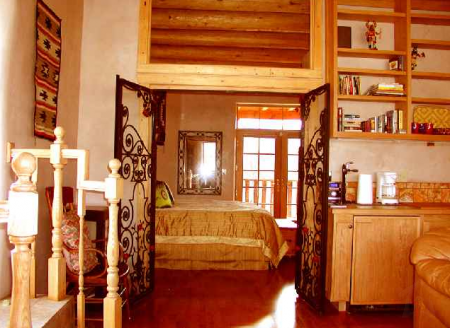 Decorative elements inlude leaded glass windows, hand made tile, Navajo rugs, weavings and paintings by local artists. Enjoy the work of Ken Daggett and Lorraine Alexander, Artists in the Garden at this location."